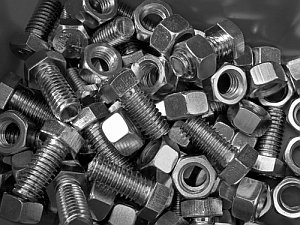 Reed Supply Co.carries a huge selection of nuts, bolts, washers, lag, carriage and plow bolts and more. We are proud to carry the largest selection of domestic bolts in the area. We stock grade 5 and grade 8 nuts, bolts and washers, grade 8.8 metric bolts (10.9 also available), and a wide assortment of other hardware such as roll pins, sheet metal screws, cotter pins, tek screws, machine screws, threaded rod, eye bolts and more. Come see us for all your hardware needs. If we don’t have it, we can get it! We offer a large selection of Amerex ABC, Co2, Halotron and more. We offer free delivery in Vermont and western New Hampshire. Visit us today.